Also referred to as plantation house plans, Southern style house plans are easily identified with some basic design applications. To accommodate the warm, humid weather of the South, plantation plans are spacious and airy with tall ceilings and large front porches – or wraparound porches – with a series of round or square columns. Porches sometimes surround the home (sometimes called a veranda) to provide shade throughout the heat of the day. Porches are built using a decking material rather than concrete. Roofs are gable or hip construction, usually at a medium to shallow pitch. 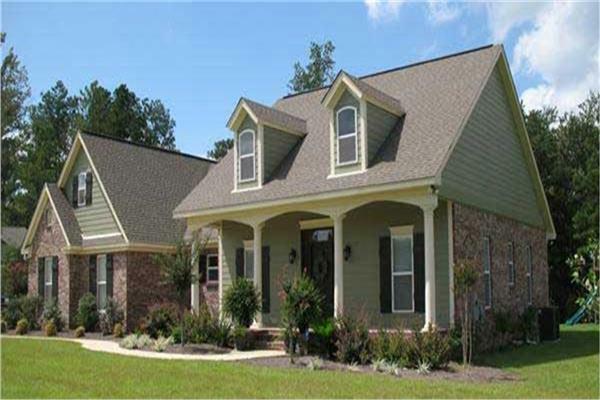 Southern style plans are single or two stories in height and sometimes are adorned with dormers. The amount of bedrooms and baths included in these homes varies from a lot to a little, depending on need. Southern-influenced architecture is popular in many home styles by region, including Virginia, North Carolina, South Carolina, Tennessee, and the Gulf Coast. Southern house plans became popular in the 1700s, as plantation owners commonly built them. There are many plantation homes preserved throughout the South, usually built on large pieces of land. However, if you want that historic, Southern living look, you can still get it by purchasing one of our plantation house plans. We carry this style of home in a variety of sizes to meet your square footage needs. Browse below.